Just a quick break from Math, File-System and Data Structure (I'm overly busy). 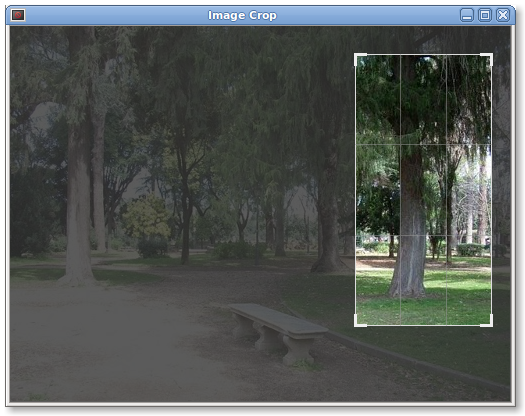 The example below is a simple QGraphicsItem, that allow the user to select an area on the screen, like the "crop tool" that you can see in every Image Editor. The source code is very simple, just paint() and moveEvent() handlers. The source code is available here: Qt4 Image Crop Item Source Code. Like your work..very nice keep doing good work.